Junior League of Dayton members are passionate about giving back to their community. Throughout the year, members participate in a variety of events throughout Dayton. 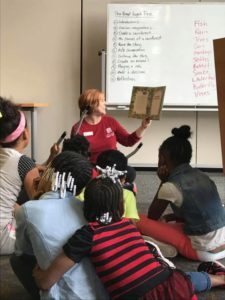 Whether it’s reading to kids through our Learn, Grow, Explore program or teaching about healthy eating as part of our Kids In The Kitchen partnership, Junior League of Dayton members are out and about year round! Promoting voluntarism, developing the potential of women, and improving communities through the effective action and leadership of trained volunteers.